Restaurants have one of the most visually appealing and universally desirable products of any industry. That makes them the perfect business type to find success with online giveaways. 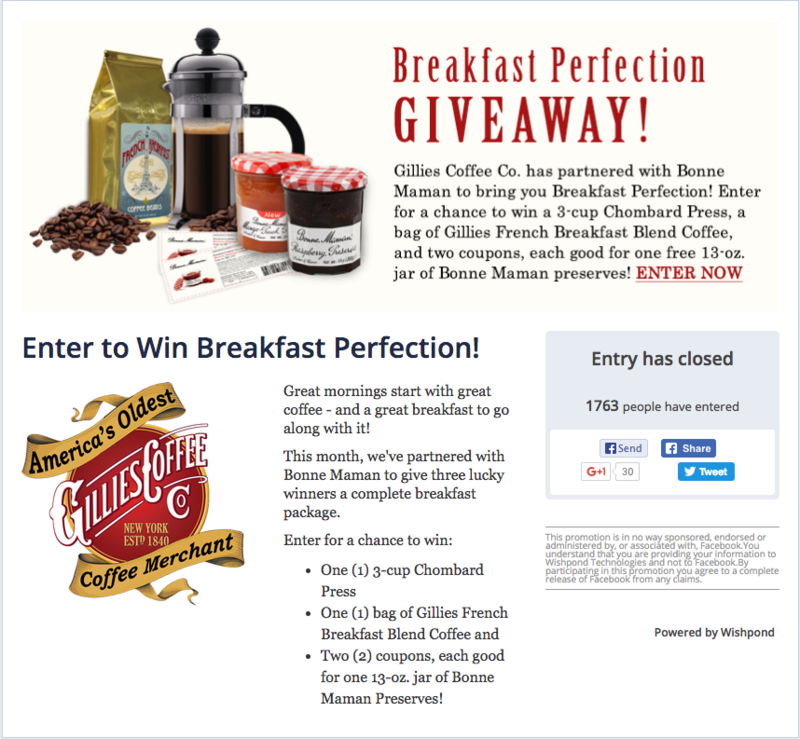 An online giveaway can drive people to your door and increase awareness in your local area. It can help boost your social media following, and re-engage past customers. How do online giveaways work? 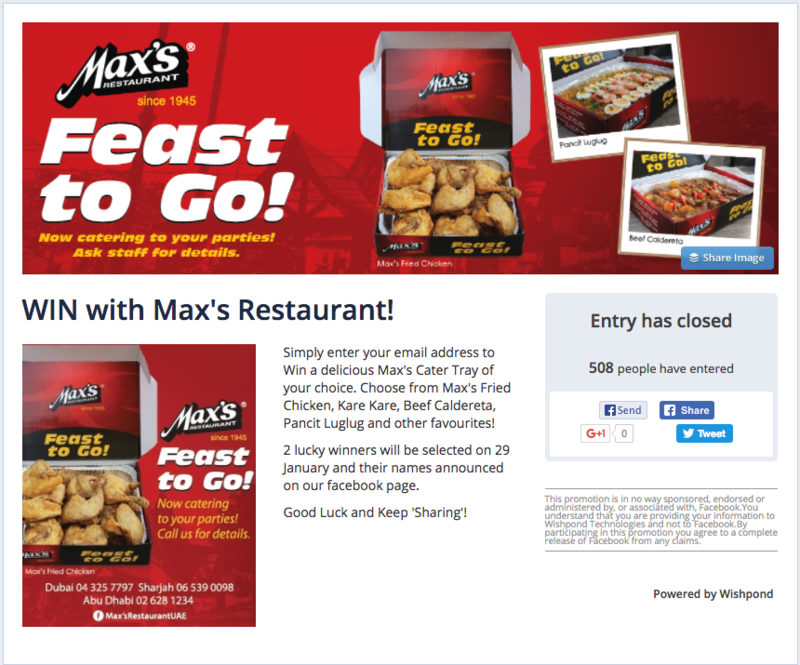 Essentially, your restaurant enables people to enter to win a prize. They're asked to complete an action (usually the submittal of contact details) to be entered. You can run them casually, offering your Facebook Fans or Instagram Followers a chance to win if they comment, use a hashtag or Like a Post. Give a prize to a randomly-selected Fan. This is an effective way to increase the value of Following you, and a great (though expensive) strategy for increasing social media engagement. You can run them more seriously, using a third-party giveaway app (like Wishpond) to host your contest page. This will allow you to get people's email addresses as well as tap into the really valuable stuff like social share incentives, referral links, Like prompt popups, and more. 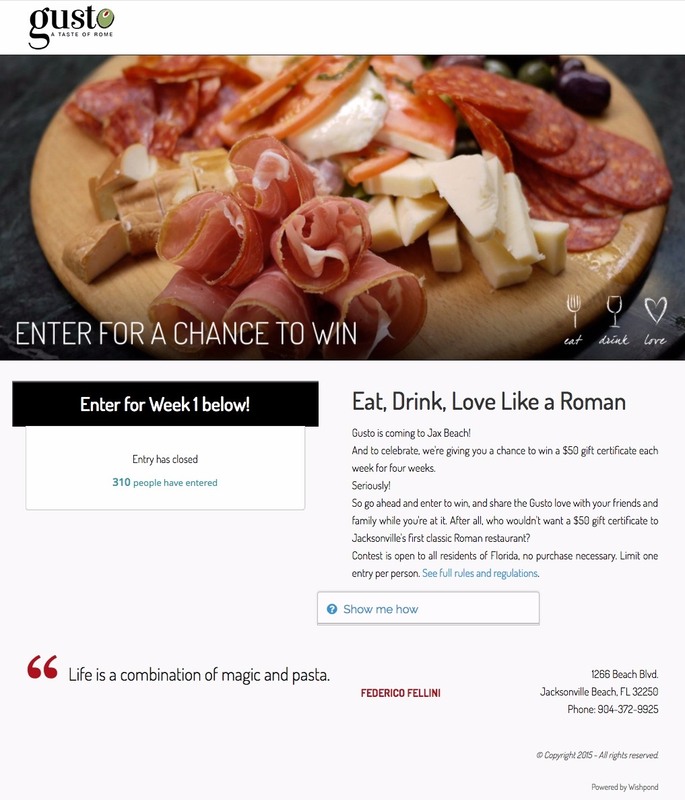 What does my restaurant get out of online giveaways? Instagram giveaways can actually require people Follow your account to enter. They're a great way to increase your number of social followers on Instagram..
Social share incentive giveaways increase your social media following by getting entrants to share your Page or profile with their networks to get extra entries to win. Photo, vote and essay giveaways give you content (photos and testimonials) from prospective or existing customers. You get a general buzz around your restaurant from having a lot of people talking about you. You get the excitement, enthusiasm and loyalty of the winners. You get the potential to increase the organic reach of your social media posts. You drive traffic to your website. Boost the number of contacts you have to drive back to your restaurant down the line. Give people the opportunity to submit their own recipes. The best one wins pride of place on your menu and a dinner for two. Fancy wine giveaway: Purchase and give away an expensive bottle of fancy wine alongside dinner. Target wine aficionados. University Giveaway: Win weekly pizza for a semester. Refer a friend contest, ideally. Purchase tickets or team up with a theater. Give away an appetizer/wine and cheese course alongside the tickets. "Big game" dinner event. GIve away your big-group room with television. Supply the food and drink for the night. Mother's Day/Father's Day/Valentine's Day/Grandparent's Day giveaway. Tying your restaurant's giveaway to a holiday that people are already thinking about or planning for is always a good call. Make it obvious and clear how people can enter. Feature your giveaway's prize in the headline. If applicable, feature the prize value. Put energy and resources into a high-quality image. Good resolution, large. Your restaurant's food or table settings are beautiful - feature them. Don't be afraid to ask Fans and Followers to share your giveaway with their own networks. In your "how to enter," make one of the steps "share with your friends!" (even if it's not actually required). Add a Like prompt popup to your Facebook giveaway (if you're running on Facebook). 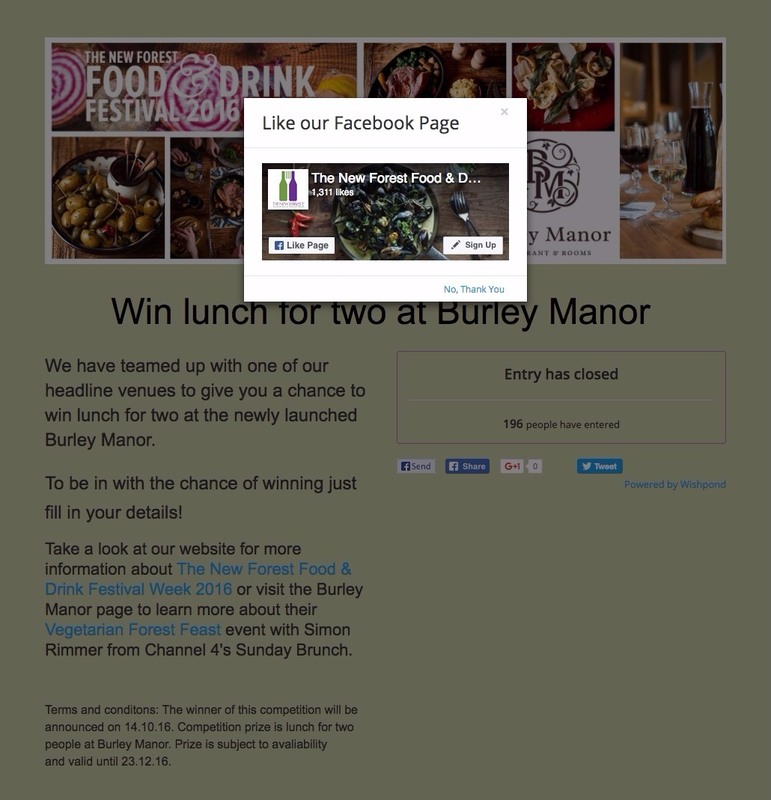 This doesn't require people to Like your Page to enter, but it does encourage them to do so. If you're running a giveaway on Instagram, consider a third-party platform which allows you to make Following you a required part of the giveaway. Limit the information you request from entrants to a name and email address. The more information you ask for, the fewer people who see your giveaway's page will actually enter. Ensure entrants know that you're only accepting people who reside/work in your restaurant's local area. There's no point in getting entrants from Seattle if you're in Tallahassee. 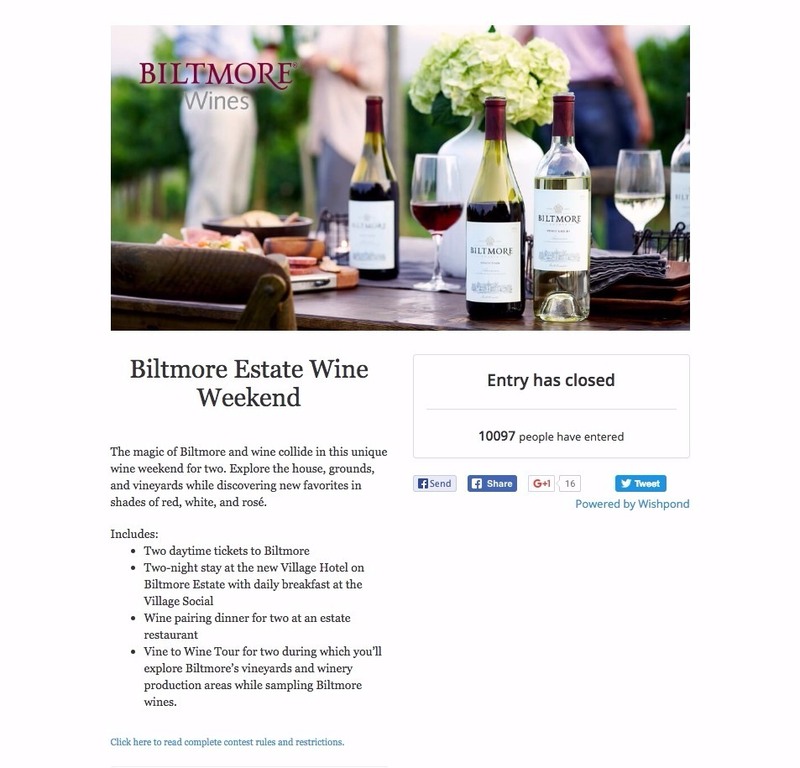 Write your rules and regulations and publish them on a separate page of your website. Link to this page from the giveaway page, or you'll have too much text and people will get overwhelmed. Try to come up with a prize which will attract people who you'll be able to sell to again in the future. If you're a sports bar, make your prize directly related to a sporting event. If you're fancy, consider a wine-and-cheese night. Don't give away something which will attract people who won't be interested in going to your restaurant after your giveaway is over. Be sure you have a follow-up strategy. 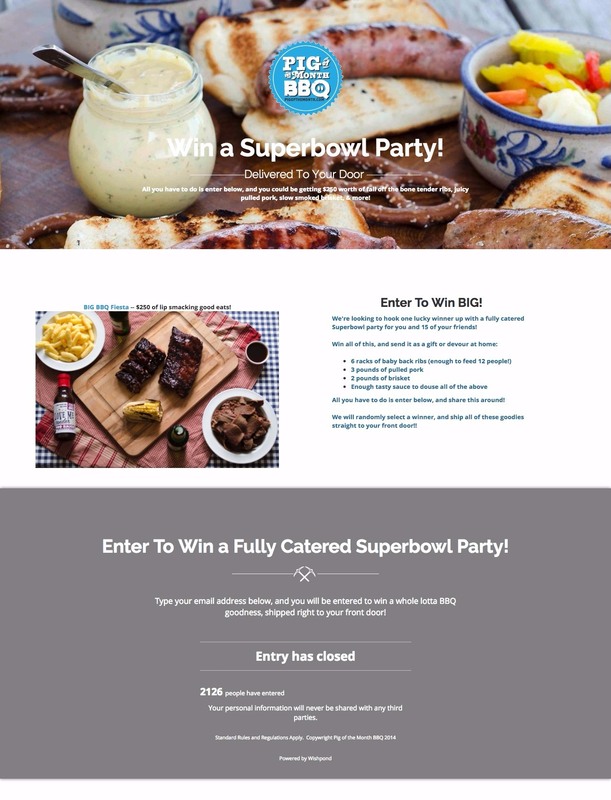 How are you going to get your giveaway entrants back to your restaurant after the contest is over? A discount? A promotion? If so, how are you going to communicate with them? If you want a hand with your giveaway's rules and regulations, head over to http://contestrules.wishpond.com for an easy-to-use (and free) generator. Click any image to see the gallery! Why did these restaurant giveaways succeed? Planning, design, and (at least for some of them) advertising! 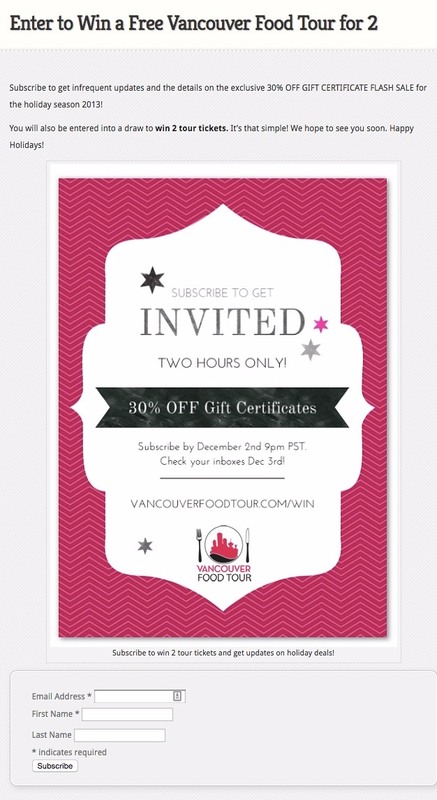 If you're curious about creating your own restaurant giveaway, we'd love to chat about how we can help. 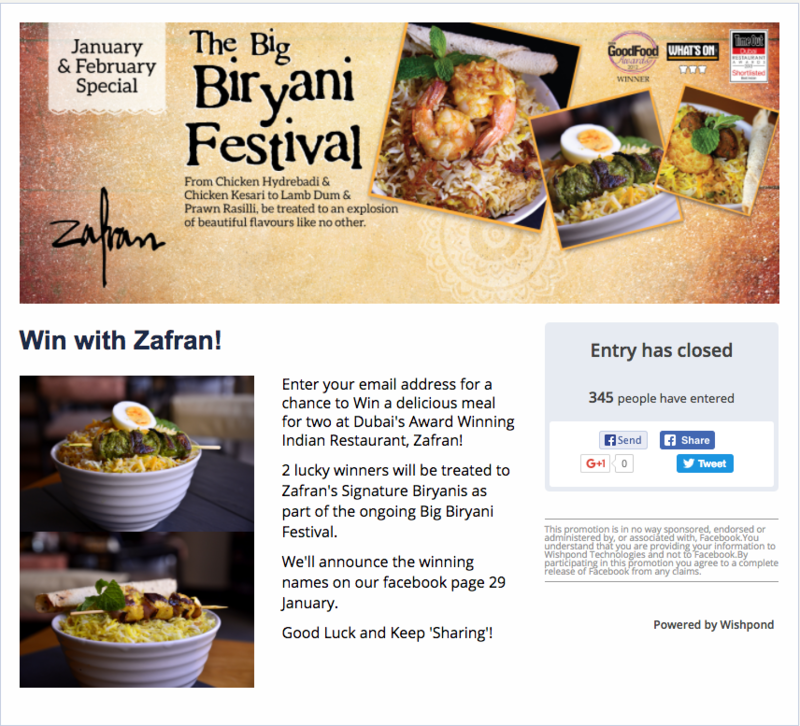 Hopefully this article has given you enough to dip a toe into online giveaways for your restaurant. They're a powerful marketing tool, capable of doing a lot for your business' online profile, as well as driving people through the door. If you have any questions about getting set up with any type of online giveaway or want some prize advice, don't hesitate to leave a question in the comment section below!